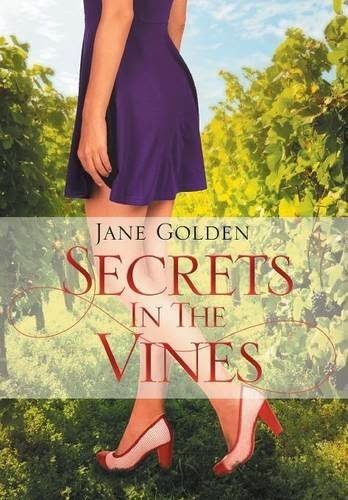 Last summer, I had lunch with DAC-ART homeowner Patti Golden of the Biloxi, Miss., area and I was thrilled to learn that she has published her first murder mystery, "Secrets in the Vines," which was inspired by her recent two-year stay in Bucharest, Romania. The book was released last month under Patti's pseudonym, Jane Golden, and it's available now in hardback, paperback and Kindle download from Amazon.com. I earned my master's in English/creative writing from the University of South Alabama nearly two decades ago, so I love to read and have been particularly excited by the prospect of propping my feet up and enjoying a little escape with Patti's Romanian mystery. Since I'm also a fan of the "fermented" grape, it's only better that the story takes place in an old vineyard. Besides her newfound talent for writing murder mysteries, Patti has also had a long, successful career as an attorney. I'm proud to say she is a graduate of my alma mater and longtime employer, USA, in Mobile. I've always known that DAC-ART customers were a special breed--intelligent, practical, forward-thinking people with excellent taste in architecture--but Patti's latest accomplishment is truly delightful and unexpected. Jeni, the wife of a recently appointed diplomat, enjoys cultural intrigue and lasting friendships when she joins the exotic International Ladies of Bucharest. But when Jeni volunteers to help one of those friends solve a mystery on an old family vineyard, she learns that trips to Romania's wine country can be deadly. Two murders, with Jeni caught in the middle, have the police pointing fingers the wrong way. Jeni must fight against the clock to solve the mystery before she is arrested or, worse, becomes the true murderer's next victim. Jane Golden lived only in the small city where she was born until she had the opportunity to spend two years in Bucharest, Romania, with her husband while he worked for the government. A lawyer by trade, she spent her newfound free time in eastern Europe traveling, writing, and drinking coffee with her international friends. Indeed, it was a two-year European vacation. Then, as all writers do when given wonderful subjects and opportunity, she found a murder mystery in the vineyards of Romania just waiting to be told. Yes, friends of DAC-ART are truly talented. Longtime friend Carolyn Haines, another fantastic Mississippi author, has contributed to a holiday book with a twist, Haunted Holidays, 3 Short Tales of Terror. The book is available for Kindle download and will be released Nov. 28, 2014. You may pre-order the Kindle download now. Coincidentally, Carolyn's Haunted Holiday short story centers around a cursed Romanian family heirloom! Carolyn is an amazing writer and has published in nearly every genre--mystery, romance, horror, non-fiction, and literary works. She also has a great sense of humor, and that comes through in much of her work. This I can guarantee--you won't be disappointed. Check out her website, www.carolynhaines.com. There's something for every reader. This Mississippi author is also the recipient of numerous writing awards, among them the prestigious Harper Lee Award and the Richard Wright Award. Very impressive! She has taught creative writing at the University of South Alabama for many years, and I was fortunate enough to take a creative writing class from her. Below is Amazon's description of Haunted Holidays, 3 Short Tales of Terror. You can get more information on Carolyn and her books at www.carolynhaines.com. Looking for a little fright to go with your fa-la-la? Three thrilling horror writers--Lisa Morton, Carolyn Haines (aka R.B. 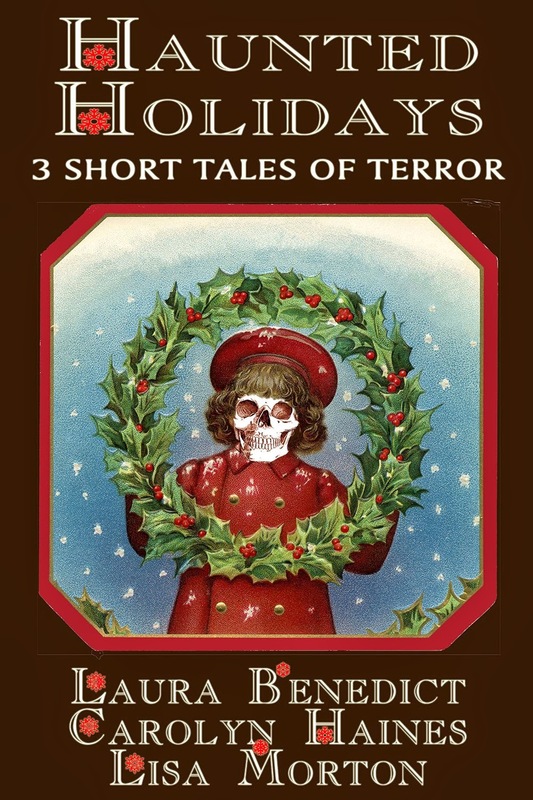 Chesterton), and Laura Benedict--bring you three short, sharp tales of terror to liven up your holiday fireside reading. Homesick and stuck at Cornell University over the Christmas holidays, Clair and four of her fellow grad students accept Carlos Ard's invitation to spend Christmas at his great-uncle's isolated Victorian summer home deep in the woods. After a Christmas Eve feast, everyone settles in to hear ghost stories, but after Carlos brings out a box containing a family heirloom from Romania--a Christmas ornament that's so cursed that it cannot even safely be seen--the adventure becomes a nightmare from which Clair may never wake. In a last-ditch effort to save their troubled marriage, Elise and Ray decide to get out of London for Christmas and spend time together at the tatty, atmospheric Yorkshire cottage Elise has inherited from her Aunt Priscilla. When Ray surprises Elise with The Christmas Spirit, an old book he's bought in the village, Elise reads it aloud, anxious to make their stay a success. But the tale of murder and violence transcends time, reaching out for Elise and Ray, threatening not just their marriage, but their lives. Venus Hansen has a perfect face, a perfect house, a perfect husband and two perfect children. When her mother-in-law in Norway sends them a shabby wooden Christmas gnome, Venus's perfect husband, Steffan, insists on surprising the children each morning before Christmas with some holiday-themed mischief that the gnome has gotten into, just like a certain elf that lives on a shelf. Venus doesn't want to have anything to do with it, but when Steffan's pranks go awry, and the gnome starts telling Venus vicious secrets, Christmas turns deadly, and her perfect life will never be the same.